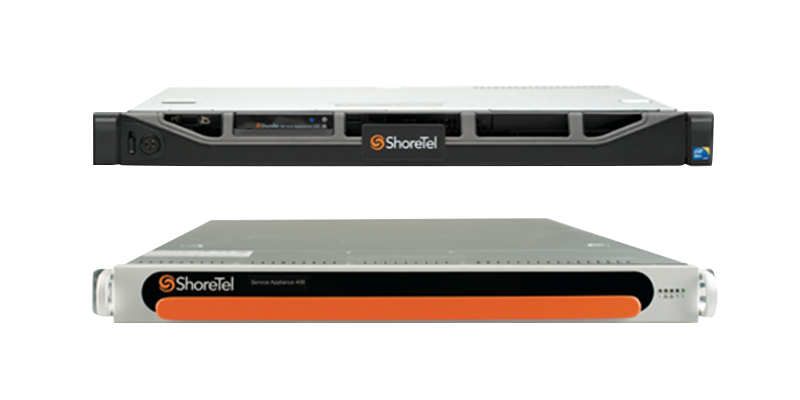 The ShoreTel Collaboration Service Appliances—SA 100, SA 400 and the Virtual SA— are sealed appliances, optimized for resiliency and security, designed to run ShoreTel Premises Collaboration software, including instant messaging, audio conferencing and desktop sharing for Windows and Mac. ShoreTel Premises Mobility and ShoreTel Conferencing for Apple iOS users are also supported. Software running on ShoreTel Collaboration Service Appliances can be installed on industry-standard x-86 servers in a virtualized environment which eliminates the need to support multiple appliances, especially for customers that choose a centralized UC deployment.